Refunds will be considered when requested in writing. Dated fax, written and email refund requests will be accepted from the registrant. Verbal and voice message requests, or requests from another individual, may not be accepted..
Online and credit card registration refunds may incur a minimum processing fee of 10% or $10 (whichever is smallest). Written requests received within one month prior to the first date of the program, receive a refund of the registration fee paid less a $50 administrative fee. Written requests received AFTER the start of the event or program are refunded at the discretion of the Executive Director and Board of Directors of CPS. When agreeable to you and CPS, your registration fee paid may be applied as a deposit to another annual meeting, seminar or program. Specific events may have specific policies. Please refer to event brochure for details. 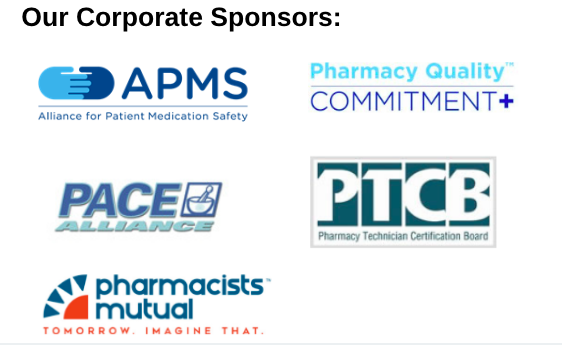 The Colorado Pharmacists Society is a licensed partner, co-sponsor of this NACDS certificate program. If you decide that you cannot complete the program because of time restraints, and/or must cancel last minute for any kind of emergency, the fee to cancel will be $150. CPS must receive your cancellation notice in writing at least two weeks prior to the live program offering. After that, there will be no refunds granted. Registration fees can not be re-allocated to future offerings of this certification program due to the multiple steps involved with processing CE credits. Payments to vendors (such as restaurants, ski resorts, excursion companies) made on your behalf by CPS are refunded to you ONLY when CPS obtains a refund or credit from the vendor. The amount of refund will depend on the amount returned to CPS, less a nominal processing fee. CPS does not refund membership payments. Special requests may be made to the CPS Board of Directors.